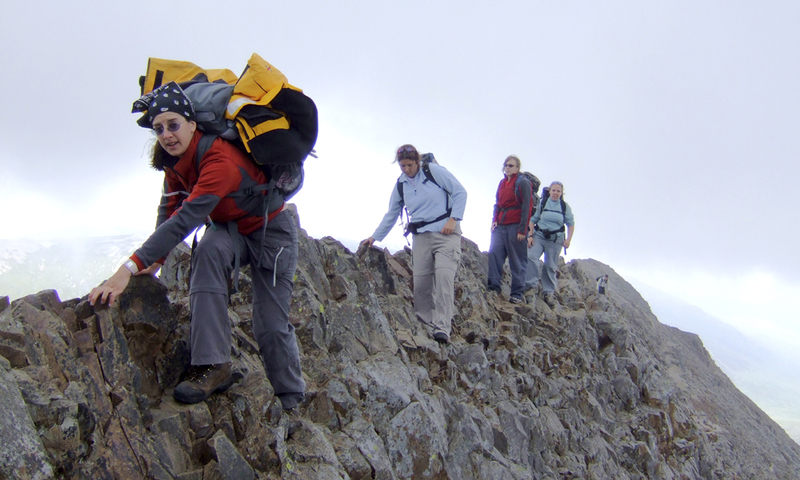 Although steep ground can be (and is best) avoided by those with limited experience on this terrain, it is a fundamental skill for a mountain leader to be able to operate safely on steep ground. 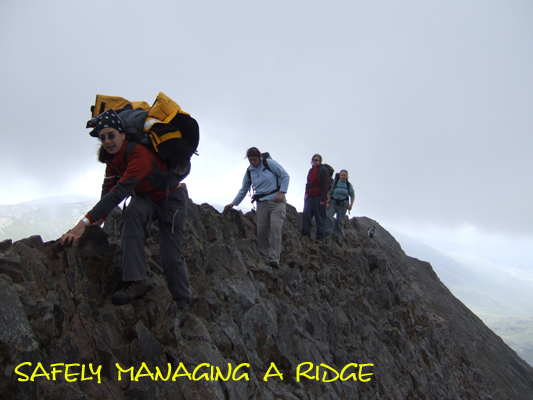 This is not always by choice; there will be occasions when you’re managing a group through complex ground when selecting a safe route through steep terrain is your best option. On a dry day with good underfoot conditions things are usually quite straightforward. To manage a group on broken ground, with areas of loose rock, patches of vegetation and scree (especially when wet), requires considerable experience, judgement and skill by the mountain leader. Steep ground hazards are best avoided by putting in place a good route plan and using sound judgement, route selection and route finding skills (remembering that sometimes reversing your route to find a better and safer alternative is the way forward, rather than looking to get a rope out at the first obstacle!). Although it can often be easy to see and avoid areas of steep and/or broken ground on ascent, they are not always so easy to see in descent, so extra care in route finding and party management becomes vital. 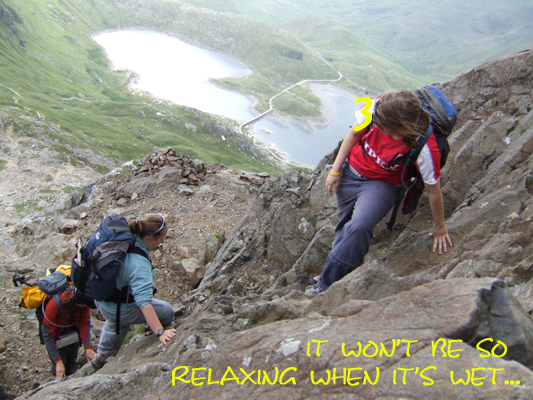 It’s good to remember that you should be planning to avoid using a rope on your steep ground days, as the planned use of the rope is beyond the scope of the mountain leader award. When dealing with a group member who’s having difficulties, you need to explore a variety of methods to assist them. Sometimes using a rope can be the most appropriate method; giving reassurance, choosing a different route, or putting in place safeguards by spotting can be better alternatives to automatically resorting to using a rope. There is no substitute for getting out on a variety of terrain in a variety of weather conditions to hone your personal skills in preparation for ML assessment, this will give you plenty in reserve when it comes to safeguarding your groups.